The secretary-general of the Arab League accused Turkey and Iran of intervening in the conflicts of Syria, Libya and Yemen, Euronews Turkish reported on Monday. "We have the same concerns as the EU regarding the conflicts taking place in Yemen, Syria and Libya. The intervention of foreign countries, such as Turkey and Iran, are part of these concerns," Ahmed Aboul Gheit said while speaking at the EU-Arab League summit in the Egyptian resort town of Sharm El Sheikh. 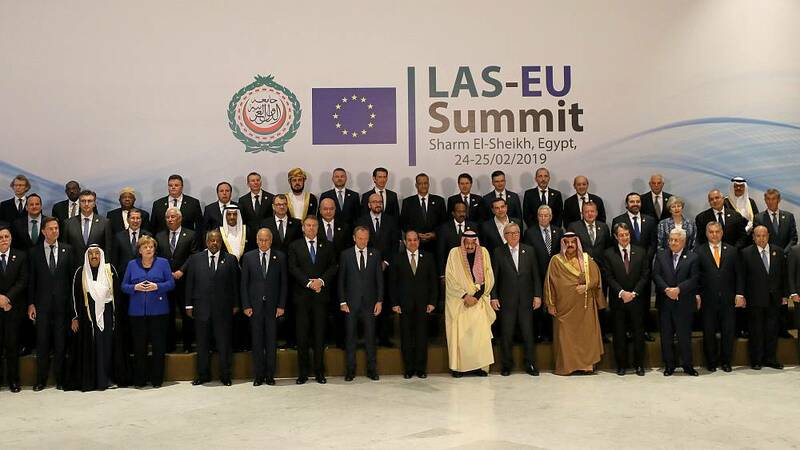 The two-day summit of the 22-member league focused heavily on migration and security cooperation while addressing the latest developments in the region, such as the Middle East Peace Process and the situation in Yemen, Libya and Syria. Gheit said the conflicts taking place in Yemen, Syria and Libya could not be resolved by military means and underlined the need for protecting the territorial integrity of said countries. Turkey has been accused of transporting weapons to armed groups in both Syria and Libya. Ankara has denied the allegations.